Shorinjiryu Watanabe-Ha Karate-Do is the evolution of Shorinjiryu Kenyukai Karate-Do, founded by Grand Master Kaicho Shunji Watanabe (President), recognizing his more than 60+ years of training and dedication to the original techniques taught by Shinan Kori Hisataka. In 1967, Shihan Watanabe came to North America, by way of Canada, to demonstrate Shorinjiryu Kenkokan Karate at the Montreal Expo. 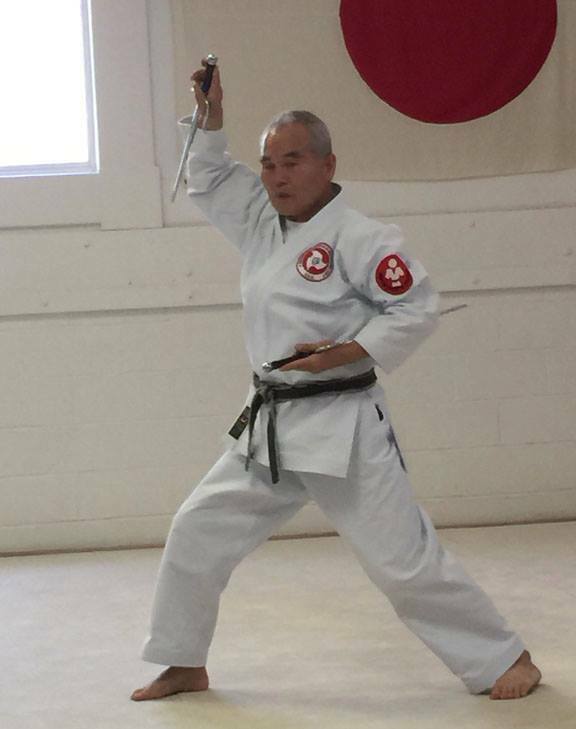 Shihan Watanabe was asked by Shinan Kori Hisataka to remain in North America and help to develop Shorinjiryu Karatedo in the United States and Canada. Shihan Watanabe made his home in Baltimore, Maryland and started the Japan Karate and Judo Center, which he maintains to this day. Our Karate Style is Shorinjiryu Kenyukai Watanabe-Ha and the essence of our style is best summarized by the motto of Shorinjiryu Karate: Doku Ji Gyo Sei Ki, which translates to "The Spiritual Development of Individuality in Mind and Body". The Japan Karate and Judo Center was established in 1974 and is for dedicated students who have an appreciation for traditional Japanese karate and the hard work it entails. Kaicho Shunji Watanabe has inspired many and given his life to the development and proliferation of the style of his teacher Hisataka Kori Kaiso (founder), Shorinjiryu Kenyukai. The Watanabe Kamon, or "The Family Crest" is used in conjunction with the Shorinjiryu seal, further emphasizing Kaicho Watanabe's influence on the evolution of Shorinjiryu Karate-Do. Hanshi Watanabe believes the most essential goal in Martial arts training is the continual effort towards self-improvement, not just the perfection of fighting techniques, as he expects his students to demonstrate respect, responsibility, manners, appreciation and effort. 9th Degree International Grand Master. Renowned long distance runner in Jr. High. 1958 : Promoted to Shodan in Kenkokan Karate. Achieved a Sandan in Judo as a Youth. 1967 : World Expo. / Canada. 1972 : Chief Instructor of the Kenkokan Federation in the U.S.
1972-1973 : Kenyukai Association formed and elected President for all associates in Canada and U.S.
1973 : Received "Key to the City" from Mayor Schafer of Baltimore at City Hall. 1986 & 1996 : Recognized as Baltimore's Best Karate School. 1989 : Receives Governor's Citation. Taught for the Baltimore Police Academy. 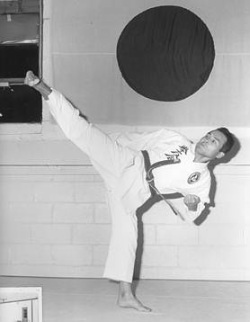 Shihan Watanabe's speed and agility quickly afforded him a nickname "KAZE", meaning "The WIND", when referred to by other senior Japanese Budoka.